How Long Does it Take to Build a SmartPhone App? 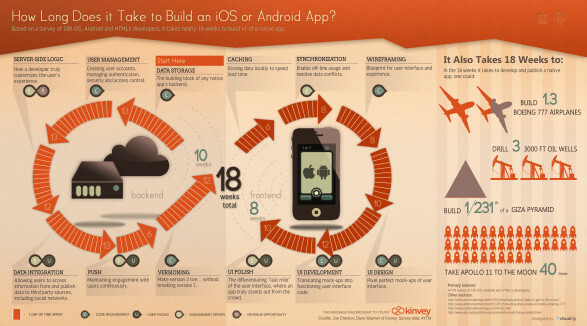 Ever wondered what the process is for building an iPhone app, an app for Android or Windows? This infographic explains it really rather well. Creating an app for your product or service helps your customers to connect and interact with you on the move. For more information about how to market your business, contact us for a no obligation consultation.